Former Microsoft chief executive Steve Ballmer said the decision to buy Nokia was the hardest strategic choice he ever made as boss, due to the way it transformed the software company. Speaking at Oxford’s Saïd Business School yesterday, Ballmer said he had to make the crucial decision with the board about the £4.6bn acquisition "in the context of me not being around forever". He said: "It’s important because the name of the company is Micro…soft. Software was a fundamental part of the founding principles." Ballmer explained that the company’s origins as a software company have been transformed by the arrival of the Xbox console and the Surface tablet, and now the acquisition of Nokia. He said: "We now have a profile that will end up being far more mixed in the future and that is a pretty fundamental change to the way we sell, identify ourselves, think, and express our values and innovation." 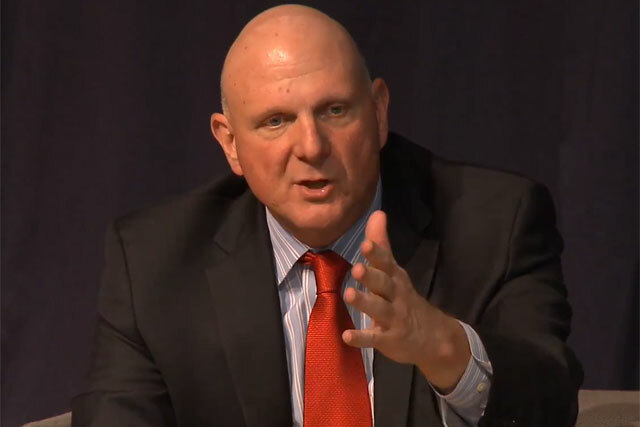 Ballmer said the Nokia acquisition would be the only "non-people" decision he would put on the list of toughest decisions, because all the others on the list were based around the firing and promoting of people. In the Q&A session, Ballmer also admitted that despite Nokia’s acquisition being such a tough decision, with "20-20 hindsight" his biggest regret as boss was not putting the "hardware and software together soon enough".